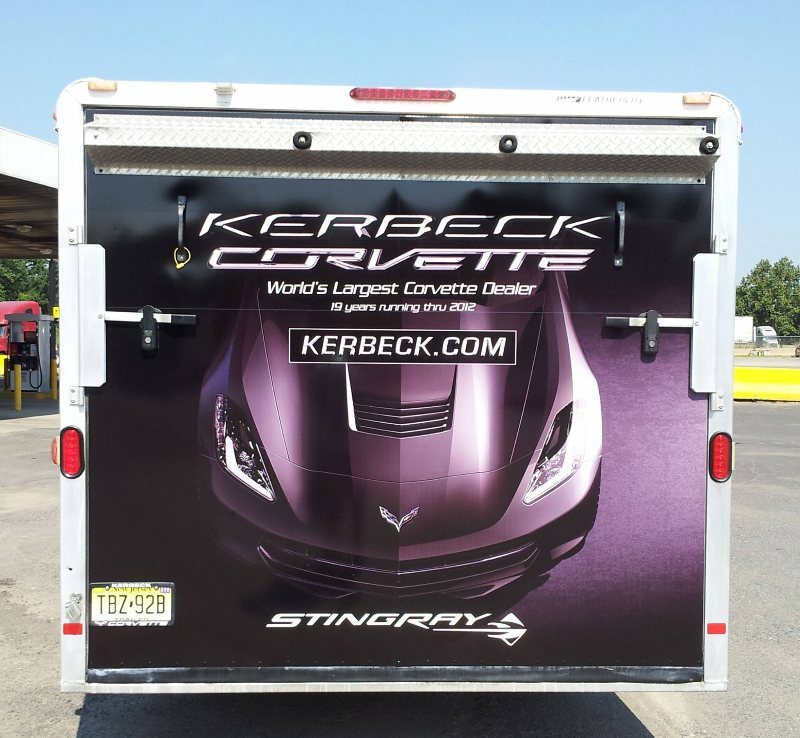 Check out this awesome Full Trailer Wrap we did for Kerbeck Corvette. 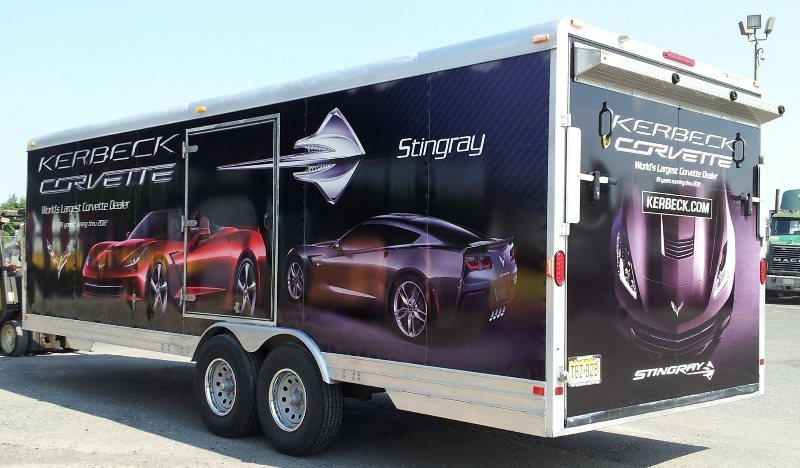 Slick new design and high dynamic digitally printed vinyl wrap will definatelly stand out on this trailer. Just like most of out wraps on the road, they serve as moving billboards and get the message accross. If you would like to have a return on your wrap investment, give us a call! 215-322-WRAP!